"Mamma Mia! Here We Go Again" dares you to resist. I could not. 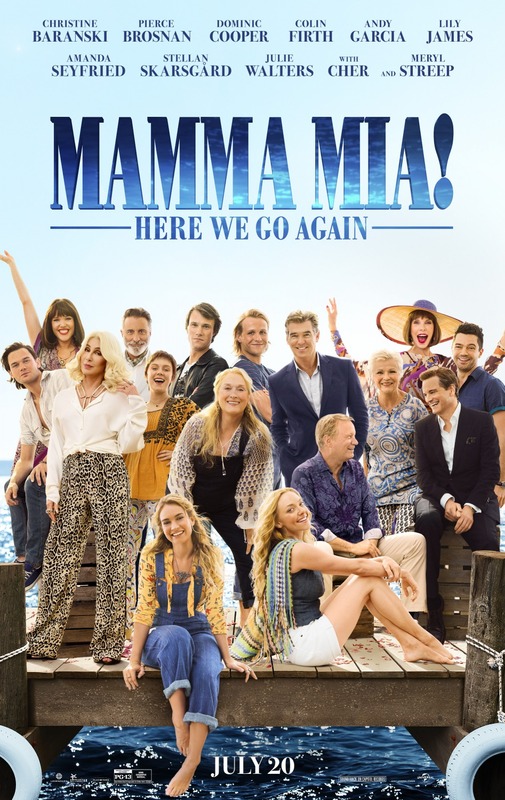 The plot mixes a prequel (the story of how the Meryl Streep character came to the island where everyone sings Abba songs) with a sequel (the story of Meryl's daughter's quest to turn the rustic farmhouse where she grew up into a world class hotel.) The inter generational mix works, thanks to deft editing and wonderful casting, especially Lily James as the younger Streep, as she might have been in 1979. James has a delightful voice and plenty of charm, as she meets and beds three handsome boys... one of them, the father of her daughter, but nobody knows which one. Amanda Seyfried returns as the daughter, taking her mother's place. The film never runs low on energy. Someone always breaks into song, or tells a joke, or knocks out a good one-liner. The grand finale includes a Streep/Seyfried mother/daughter ballad. If that's not enough, Cher takes everything over the top. I admit Cher felt a little cheesy; but in hindsight, why not? 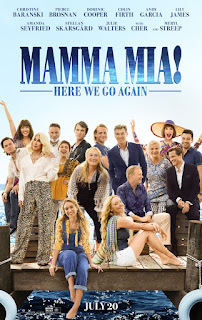 "Mamma Mia! Here We Go Again" is an exercise in joy. 3 Stars, rated PG-13. Does it deliver what it promises? Exactly. Is it Entertaining? Exactly. Is it worth the price of admission? Exactly.